Bedbugs are the bane of humanity. Not only do they bite, but people are ashamed to say they suffer from the insects presence. Yet this is normal for any animal, and humans are no different from other creatures. Humans like to think that they are special and are somehow unique in nature. We evolved like other species alongside bugs who did well out of it. Indeed, humans even benefited while some bugs eat others. There are many of them: bedbugs, fleas, lice, ticks, scabies and so on. 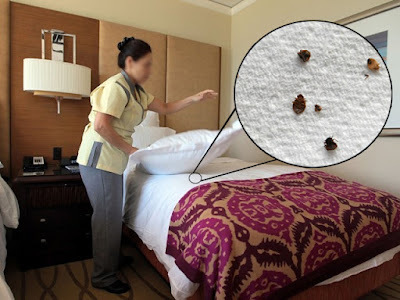 We have tried and failed to eradicate bedbugs. Humans must accept their presence. Dead bedbugs are found on the earliest mummies. Ancient Romans and Greeks wrote about them. Everything has been tried against them from dangerous chemicals to plants and potions. Even smoke has been tried to no avail. The only thing that worked was DDT. An entire generation enjoyed life for the first time without bedbugs. This was not to last, however, as the dangers of the toxic substance became known. Furthermore, resistant bugs survived and became the hardy bunch breeding today. So prominent have they become that 2010 was named the Year of the Bedbug. 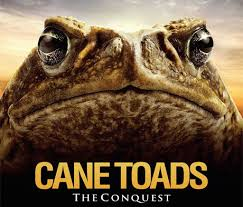 The toads cannot be stopped - cane toads that is. Some do-gooders are pressing the United Nations to act to stop the vermin from moving in to the Northern Territory and Western Australia. This won't do any good, Territories, states and the Federal Government have given up already. Even annual kills have not reduced the population one iota. Because the pests are moving into the Purnululu National Park, the Wilderness Society is pressing the World Heritage Center in Paris to take action. The Australian Authorities would welcome any extra funding they can get, but it is common knowledge that nothing can be done. World Heritage rules hold states, territories and national governments responsible to control pests in protected parks. In this instance it would be foolish for legal action to ensue. Trapping and fencing will not work. Australian laboratories are working on a biological control mechanism. Other countries with similar problems are working on a similar solution. 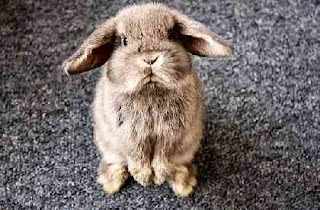 Until an answer is found the little varmints will just go where they please. A test that has worked is fencing off water holes, but this also prevents access by animal stock as well. Australian cane toads really get around, in most unlikely ways. A cane toad got into a golf shoe then survived a plane trip from Brisbane to Perth. It stayed in the shoe six days before being discovered by the shoe's owner. Apparently, this is not unusual. The pests are very tough and resilient. In the above case, quarantine authorities would not comment, though a spokesperson did try to make out that it was a tree frog. The owner of the shoe lived in Brisbane for many years and said it was definitely a cane toad. It seems cane toads won't have to walk across the top of Australia (as they steadily are). Crossing the country is far easier by plane. Cane toads are intelligent as well. It is known that if water is scarce they will follow a cow drawing moisture from cow pats until the cow eventually reaches a river or dam. You Don't have to be big to kill a crocodile. A small imported pest can kill one. Cane toads are in plague proportions in the Northern Territory. Cane toads have poisonous sacks on their heads. When a saltwater crocodile eats one assuming it to be a tasty snack the crocodile ingests the poison and dies. The problem is so serious that the population has fallen by half in some areas. Because the species takes a long time to breed up numbers, the crocodiles could become very scarce in some regions. Introducing cane toads was a great mistake by Australian scientists. They were brought in to combat beetles destroying sugar crops in 1935. But the toads ignored the beetles and now threaten many native species by eating what they eat. To travel faster around the country some toads have developed larger hind legs to cover a greater distance before the sun goes down. At last - a solution to Australia's can toad problem. Decades ago the pest was introduced from Hawaii to combat bugs that were attacking sugar cane, but instead of eating the target beetles the cane toads went about settling down here and have been destroying the native habitat ever since. Cane toads have recently reached Perth in Western Australia. Now they are established in every Australian state. Everything has been tried to kill them from hitting them with sticks, gassing them with carbon dioxide, to freezing them. None of this has had any effect on their numbers. A way has now been found, however, of killing off the pests. Placing a few teaspoons of cat food next to ponds in the Northern Territory attracts meat eating ants. When the baby can toads appear from the pond they are eaten by the ants. Most native creatures are affected by the poisonous toxin put out by can toads. Fortunately, the ants are fully resistant. All the toad eggs hatch at the same time, so if you activate the ants you win the battle. The ants kill 98 percent of baby toads in the first two minutes. Eighty percent of survivors die of inuries during the next day. Already do-gooders are complaining, saying ants killing toads is inumane. One species killing another is as natural as it can get. What else can be done? Are we expected to give them a packed lunch and send them on they way?